then again there is always……. I’ve installed a plugin that claims to create automatic hyperlinks when you type or cut/past them into your posts so that you don’t have to highlight text and use the “Link” button in the editor. Important: All these plugins are written by kids in their basements (hyperbolic generalization, but mostly true) and most are completely unsupported, so I don’t know what effects this could have on the normal functionality of the site or the post editor. The following were just entered as text, and the “Link” button was not used. They should show up as hyperlinks, or “light up”, as J prefers. a little reason today too! No, just a couple video’s. Your animations are working well and I’m just too plain pissed and lazy. I’ll give em’ a shot at some point. I guess that’s all she wrote for today. Shares are down like we knew they would be. Hope stinks eternal. There must be some major derivatives that will blow up if gold gets above 1350.
i think its time to inbed our permanent url. ‘goldtentoasis.com’ and go public so to speak. some cosmetic refinements are still in the works but real minor ‘tweak’ stuff and one program feature weston is working on is for us to be able to see first hand the incoming registrations and ok them thru giving us the ability of trashing any spam ones detected before they get to the board. easy and clean cut approval. then its ‘heeeeeeres johnny’ raise the curtain time! if the board is easy for you it will be a breeze for anyone else! If someone can’t figure out how to post and navigate here then they have even bigger issues than I do with a lack of brain cells. Are we gonna have different themes that we can switch between – I used the Turtle theme at the Tent – others may have used something else. 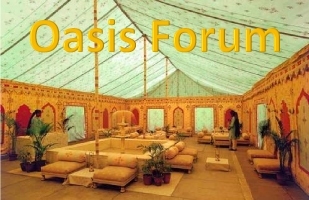 What we have now at the Oasis is like Turtle at the Tent I believe and that is fine with me – just don’t know whether the other themes were used much at the Tent or not.